Roof shingles are usually made out of wood or asphalt. When you need new shingles on your Northeast Florida roof, we can make sure they are applied properly. There are three main forms of asphalt roof shingles: organic, laminated and fiberglass. Usually, wood shingles are made from western red cedar, and they may be tapersplit, handsplit and resawn, tapersawn or straight-split. With organic asphalt roof shingles, paper or felt is saturated with asphalt to make it waterproof; a top coating is put on and then ceramic granules, which may contain copper or tin to deter moss growth on your roof, are applied. 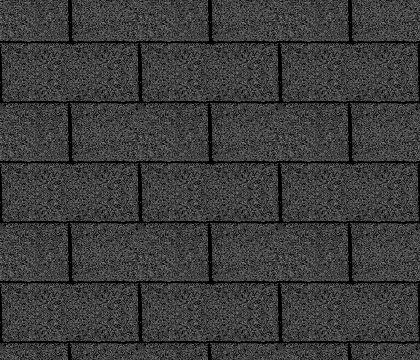 Two separate layers make up laminated asphalt roof shingles; they weigh more, cost more and are more hardwearing than regular organic asphalt roof shingles. Fiberglass asphalt roof shingles start with a fiberglass mat and asphalt with mineral fillers added. As your roof shingles get older, they may curl at the edges of the shingle tab. Your roof shingles also may start to cup. When your roof shingles start to curl, it is time to call us for replacement as soon as possible. It is imperative that whoever inspects your roof shingles is mindful of this, because if they walk across the surface of cupped roof shingles, they may cause the roof to go from being near the end of its life to a failed and/or leaking condition. We know how careful we have to be when checking roofs with these issues. But what if your roof shingles are fine, but you have some that are missing? Perhaps they blew off in a bad storm, maybe during hurricane season. It is no problem for us to replace missing roof shingles, and we can make them match the rest of your house so no one will even know they were replaced. Long-chain petroleum hydrocarbons help facilitate the protective nature of fiberglass and paper asphalt roof shingles, and natural oils in the cellulose structure protect wood. But as the hot Florida sun beats down on the shingles, it softens the oils, which are gradually washed out of the shingles when it rains. This becomes a problem because as the oil is lost, the asphalt shingle fibers shrink and the wood shingles rot, which can lead to the exposure of the nail heads underneath. When that happens, the water running down the roof can seep into the building around the shank and rot the underlying roof building materials – causing the ceilings and paint inside to sustain moisture damage. Clearly, keeping your roof shingles in the best shape possible is imperative to the health of your roof. If you find that you have missing shingles or that you have shingles that are curling, and let us come out and give you a free estimate of what it would cost to fix them. Our family-owned and -operated company has 25 years experience. We are committed to ensuring your 100 percent satisfaction. Give us a call at 937-681-8910 or fill out the online information request form to schedule your appointment.